First, there were many festivities in October. Here’s a recap of a few notable events from last month. FLVS Full Time students celebrated a “Mega Spirit Week” in elementary school and “Shark Week” in high school, while also recognizing Red Ribbon Week. 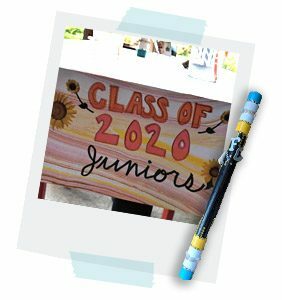 Throughout the week, our high school students competed to earn points and the junior class won this year’s spirit stick! Congratulations to our student class officers for putting on an amazing face-to-face “pep rally” at Disney Springs to wrap up the week! Thank you to all the students, parents, families, and teachers in attendance for making this a successful event. In addition, FLVS Full Time Middle School Language Arts students and teachers participated in our literacy book parade and shared costumes of their favorite characters. Elementary students got in on the action with their own FLVS Flex Elementary vocabulary parade. Find photos of the book parade and vocabulary parade on Facebook. We’ve also been hosting all kinds of fun fields trips this year! 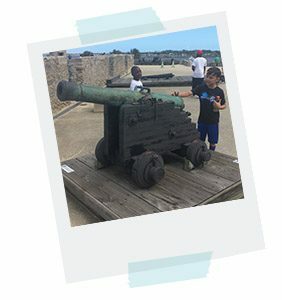 In October, FLVS Flex and FLVS Full Time students in 4th grade explored the historic city of St. Augustine for a tour of the nation’s oldest city. Check out the photos here. In early November, FLVS Full Time students in Kindergarten-8th grade gathered for a STEM-themed meetup — and on Nov. 9, FLVS elementary classmates and teachers traveled to locations around the state. Look back at highlights from these events on our Instagram. We love sharing pictures when our students meet face to face! Win an iPad in our upcoming social media contest! To celebrate students who are excelling in our technology courses and clubs, FLVS is hosting a contest starting Dec. 3, 2018, through Jan. 14, 2019. We want to see how our students are engaging in computer science activities — from coding to construction! The contest kicks off during Computer Science Education Week (the first week of December). During the same week, many of our students will also be participating in an Hour of Code. Three lucky winners in elementary, middle, and high school will be chosen to receive an iPad based on the quality, creativity, uniqueness, and relevance of their entry. Students can participate by submitting a photo or video that showcases their love for computer science. Entry details will be posted in an upcoming blog post, so be sure to subscribe to our blog for the latest updates! This year, FLVS Flex and FLVS Full Time are hosting our first annual Book Battle! “Battle of the Books” is an exciting academic competition that improves reading comprehension, builds vocabulary, and promotes teamwork and sportsmanship. 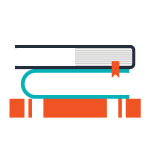 This year, FLVS students in Kindergarten through 8th grade will compete in a “Battle of the Books” to share their knowledge of the Sunshine State Books. Click here to join our Literacy Coach on Dec. 6 at 6 p.m.
Want to explore the world, but don’t have a passport yet? We have a way — and you can do it from the comforts of home or wherever you connect online! 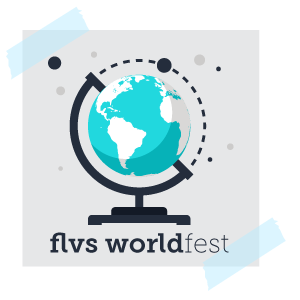 Save the date for the FLVS World Fest 2018 on Wednesday, Dec. 19, from 5-7 p.m.
World Fest is a cultural smorgasbord that celebrates cultures around the world. Students, families, and staff are invited to join in the fun and experience cultures. There are sessions to listen to popular types of music, brush up on your geography, learn the contributions of math theories and concepts in Europe—and much more! Invite your family and friends along for the journey as you choose from dozens of incredible sessions and explore the world. Visit our Student Calendar for more information. Click here to join between 5-7 p.m. on Dec. 19 to participate in all the fun. Florida law requires each school district to provide staff with a professional development plan of in-service hours to meet continuing education requirements. To help fulfill a portion of those hours, FLVS teachers and select staff will be attending Teacher Professional Training Days from Tuesday, Nov. 27 – Thursday, Nov. 29 in Orlando. In observance of the Thanksgiving holiday, all FLVS teachers and staff have off Wednesday, Nov. 21 – Friday, Nov. 23. The FLVS Customer Care Center will be closed Thursday, Nov. 22 – Sunday, Nov. 25. FLVS Full Time students and staff will be off for the week of Thanksgiving, Nov. 19-23. 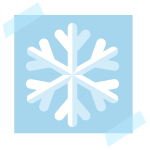 The Winter Holiday Break for FLVS teachers and staff is Friday, Dec. 21 – Friday, Jan 4. The FLVS Customer Care Center will be closed on Dec. 24-25 and Jan. 1, 2019. During the break (Dec. 21 through Jan. 6), customer care will be available from 9 a.m. to 5 p.m.
During these times, students are encouraged to continue in their studies, but please understand there may be a delay in grading and returned calls. From all of us at FLVS, we wish you and your family a wonderful and safe holiday season! This entry was posted in Educator Edition, Full Time Edition, Homeschool Edition, Parent Edition, Student Edition and tagged Computer Science Education Week, Contests, CSED, Dates to Remember, FLVS Corkboard, FLVS Student Activities, FLVS World Fest, Holidays, Hour of Code, Newsletter, Photo contest, School Events, Social Media Contest, Student Activities, Student Updates, Thanksgiving, Winter Break on November 12, 2018 by The Virtual Voice. Hi. Is there a link so that I can see all upcoming events? I have two middle schoolers and I don’t feel like I know what’s going on and when. We’d love to plug in more. Hi Lisa! Are your students in FLVS Full Time or FLVS Flex? If they are enrolled with FLVS Full Time, they can view upcoming events (including school meetups and online activities) in the Focus dashboard or calendar. 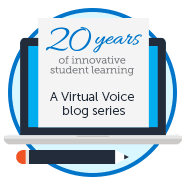 If they take courses with FLVS Flex, activities are typically coordinated by individual teachers or clubs. 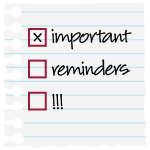 You’ll receive individual messages about these events in your VSA or email inbox. Hope this helps! Hi I want to be a part of the book battle but I’m a 7th grader and it says 8th grade and up. whahh! Is there a way I could still participate? They are flex so that explains it. Thanks for clarifying. I appreciate it. 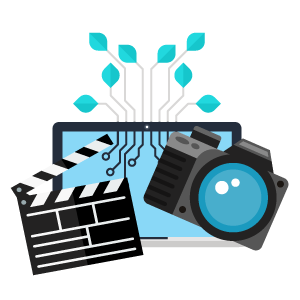 i have a question about the photo/ video contest, would an audio engineering video be eligible for submission? Hi there! The contest is open to all FLVS students. Does FLVS flex have any trips? 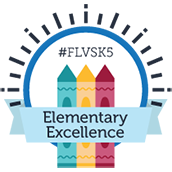 who won the flvs flex t shirt design contest? Hi! If you are a student in one of our clubs, your club sponsor should have more info about this!